Universal City, California, March 26, 2019 – Nearly ten years after the first movie wowed audiences around the world, Hiccup and Toothless return to captivate fans with an adventure of a lifetime in DreamWorks Animation’s HOW TO TRAIN YOUR DRAGON: THE HIDDEN WORLD. The final quest from Dean DeBlois’ (Lilo & Stich, How to Train Your Dragon trilogy) arrives on Digital and via the digital movie app MOVIES ANYWHERE on May 7, 2019 and on 4K Ultra HD, Blu-ray™, DVD, and On Demand May 21, 2019 from Universal Pictures Home Entertainment. Hailed as “the perfect conclusion to one of the best animated trilogies of all time” (Scott Menzel, We Live Entertainment) and certified fresh on Rotten Tomatoes®, the film opened at #1 in over 40 markets. 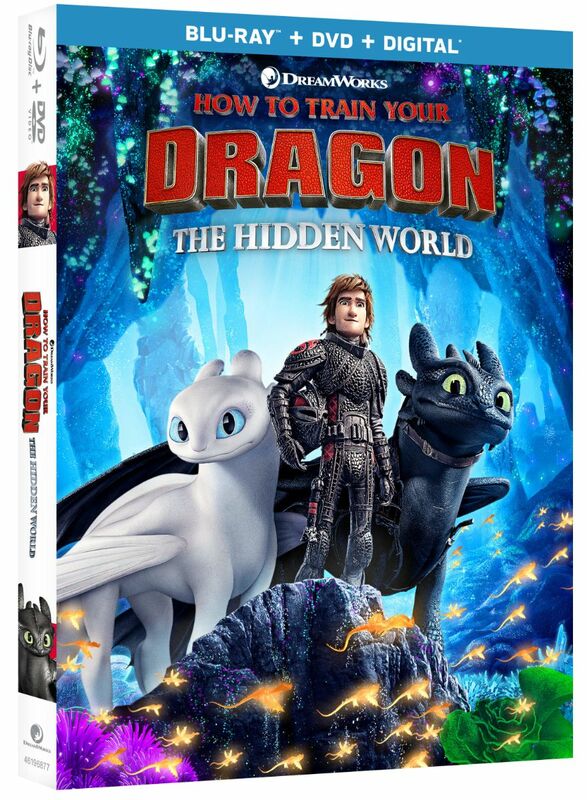 The 4K Ultra HD, Blu-ray™, DVD and Digital versions feature over an hour of exclusive behind-the-scenes bonus content including an alternate opening, two DreamWorks animated shorts, deleted scenes and more.